The Zimbra BSP Program was designed to ensure a successful partnership with partners who host Zimbra products in a multi-tenant environment. 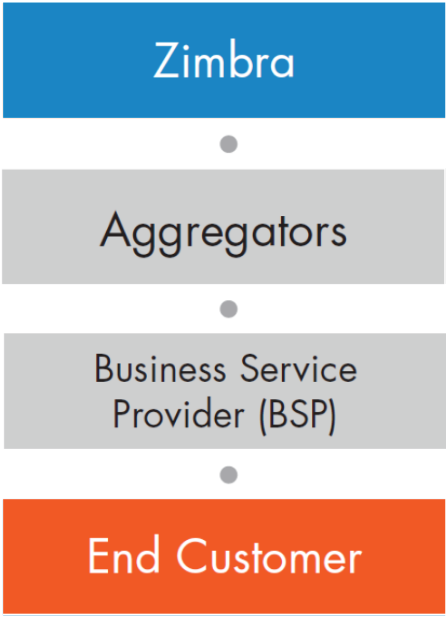 The BSP would contract with Zimbra for the strategic and technical (inc support) relationship although the monthly invoicing process is performed between an authorised Aggregator and the BSP. 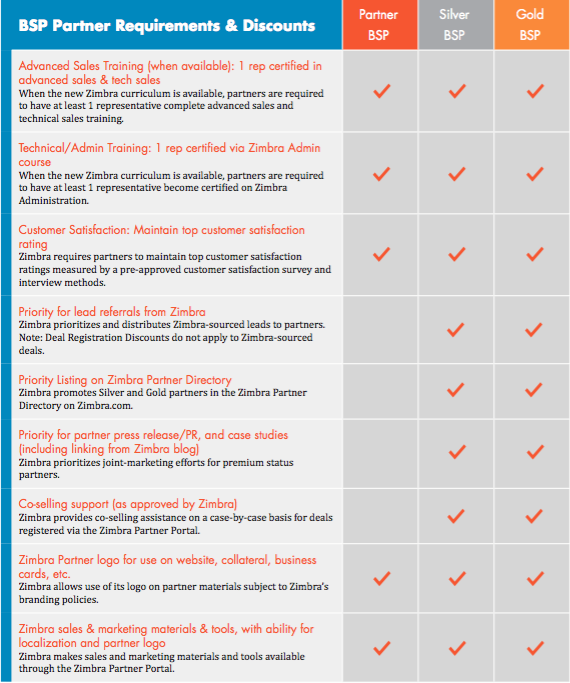 10 Reasons to choose Zimbra BSP’s program! Customizable to align with your colours, look, etc. Through the Zimbra BSP Partner Program, you will have access to a variety of benefits to assist you in developing your expertise in Zimbra’s Collaboration solutions. As your commitment to and knowledge of Zimbra grows, the marketing, sales and training benefits you receive from Zimbra will also grow. BSPs that achieve the qualification requirements will be able to work towards achieving higher membership level with more benefits. Registered BSPs can progress to the Silver or Gold status. Depending on a Partner’s partnership relationship with Zimbra, the partner may qualify for specific benefits listed below. • Opportunity to graduate to an advanced level signifier such as Gold based on factors like annual revenues produced, proven track record in end-customer satisfaction, product certification or more.